Congresswoman Clarke discusses the Mueller investigation. Congresswoman Yvette Clarke answers a question about encouraging people to vote. Congresswoman Clarke responds to a question about efforts to prevent election hacking in 2018. 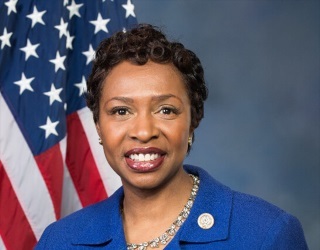 Congresswoman Yvette Clarke hosted this Access Live event to discuss issues and events with constituents. The event also featured Legislative Counsel and Senior Policy Advisor Harry Baumgarten. The hosts addressed questions ranging from immigration, internet and infrastructure, and environmental issues.